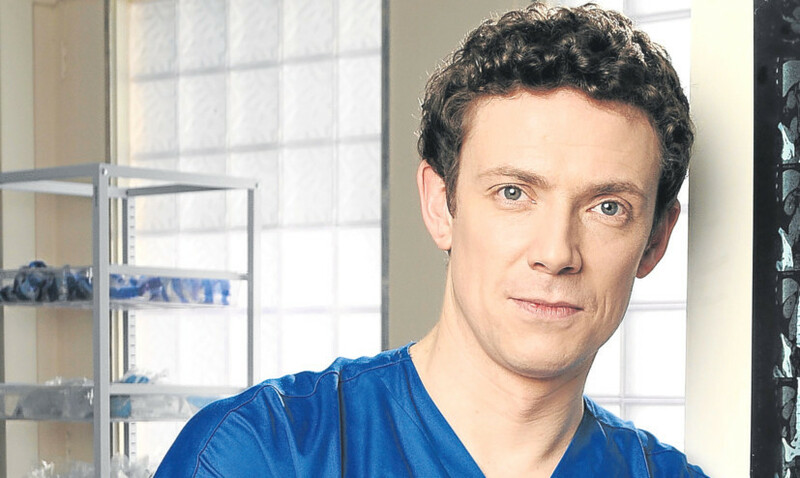 Edinburgh-born Holby City star Michael Thomson says he owes his screen success to his old school drama teacher. Michael was on the road to academic failure when his potential was spotted and an acting career beckoned. “I’ll never forget my teacher Janie McGill at James Gillespie’s High,” Michael told The Sunday Post. “To this day I’m very, very grateful. Along with the school, she really supported me. “They saw acting was what I wanted to do besides which I’d given up on everything else and stopped learning. “I remember Mrs McGill saying to my mum, ‘He might actually make a living from this’. But it’s been the longest and hardest of roads for Michael, who faced more than his share of rejections before landing the role of nurse Jonny Maconie. “Knockback was my middle name,” sighs 33-year-old Michael. “Most of my early career I worked on building sites. I even worked as a charity mugger, which I’m not too proud of. “Honestly, I’ve done some horrible things to make ends meet. Just as he had support at school, Michael’s also been lucky to have the backing of actress girlfriend Natasha Rickman. “A lot of the success I’ve had is down to her,” admits Michael. “She’s in The Mousetrap just now but she knows all about the ups and downs of acting. “She got me to do positive things and steered me in the right direction. “As I was leaving the house for the Holby audition I told her I was going to get it and I really meant it. The romance between Jonny and lead doc Jac (Rosie Marcel) has pushed the likeable actor right to the forefront of viewers’ attention. But Michael, who joined the BBC One show last year, admits he’s amazed he’s still around. “Holby is my first TV role and I fully expected to get fired in the first six months,” he adds. “I couldn’t understand why they’d cast me. I thought they’d made some terrible mistake. “I couldn’t hit my marks and say lines at the right time because it was all so different from the theatre work I’d done.